When you’re the mom to three daughters under the age of 10, you always have a reason to hit the bottle. If keeping Jayson in line during her work days wasn’t enough of a burden, Dana goes home to her own family circus. This week, a relatively normal day around the house went really wrong really fast when she left her husband Kevin in charge of a beverage situation that was bound to fail. 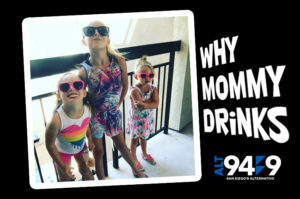 Listen and find out the latest reason Why Mommy Drinks!